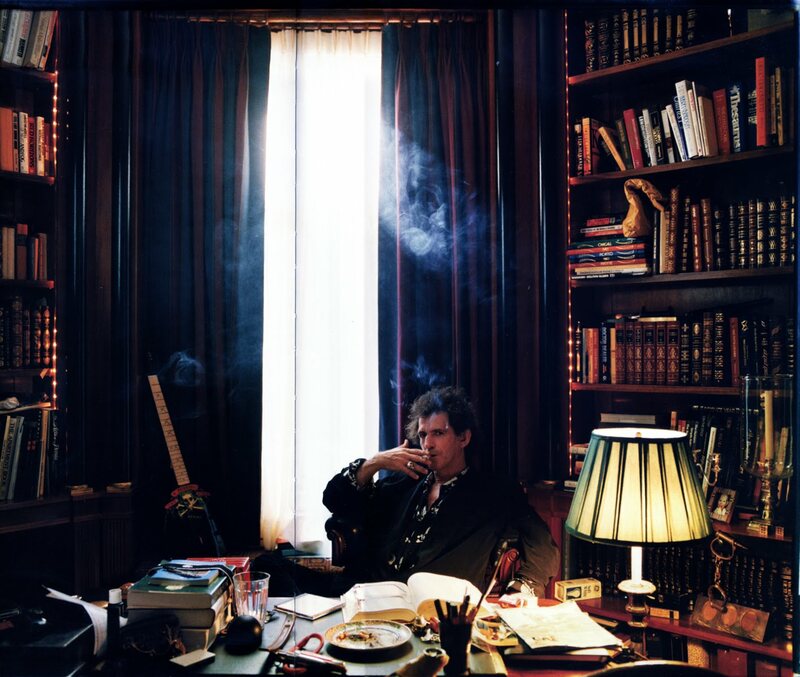 Keith Richards, the grizzled veteran of rock’n’roll excess, has confessed to a secret longing: to be a librarian. 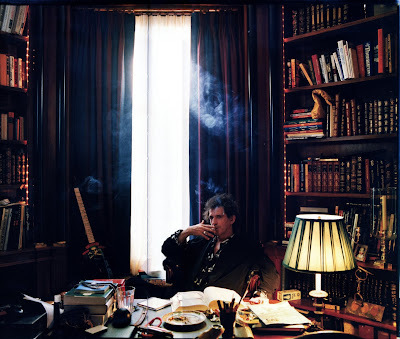 After decades spent partying in a haze of alcohol and drugs, Richards will tell in his forthcoming autobiography that he has been quietly nurturing his inner bookworm. He has even considered “professional training” to manage thousands of books at his homes in Sussex and Connecticut . . . The guitarist started to arrange the volumes, including rare histories of early American rock music and the second world war, by the librarian’s standard Dewey Decimal classification system but gave up on that as “too much hassle.” He has opted instead for keeping favoured volumes close to hand and the rest languishing on dusty shelves. Richards has also acted as a public library, lending out copies of the latest Bernard Cornwell or Len Deighton novels to friends without much hope of getting them back. And, like the Queen at Balmoral, he leaves favoured books by the bedside for guests staying at Redlands, his moated Elizabethan farmhouse near West Wittering in West Sussex and in Weston, Connecticut.